Quite the positive input to Monday. 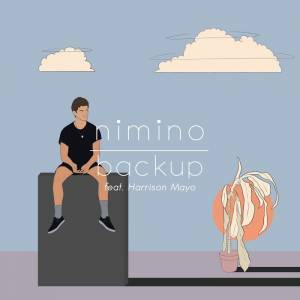 Glad to welcome nimino (or Milo Evans) on board with his gorgeous new single "Back Up", the first taste of his upcoming Vara EP. A track that is so smooth and at the same time gets you moving. Somewhat of a meeting of two minds. This was created out of the creative sparks that flew the first time me and Harrison met up. We bounced off each other so quickly that we knew immediately something strong would come out of this union. I think the track shows the excited energy in the room that day, and the love we both share for this sound.